Samsung has won the Tribeca Film Festival's first branded content award. With the five-minute short, Hearing Colors, it beat out seven other brands vying for the Tribeca X Award, which the festival introduced this year to recognize the best content resulting from the marriage of entertainment and advertising. Samsung's effort examines a young man with achromatopsia, a rare condition that leaves people colorblind. 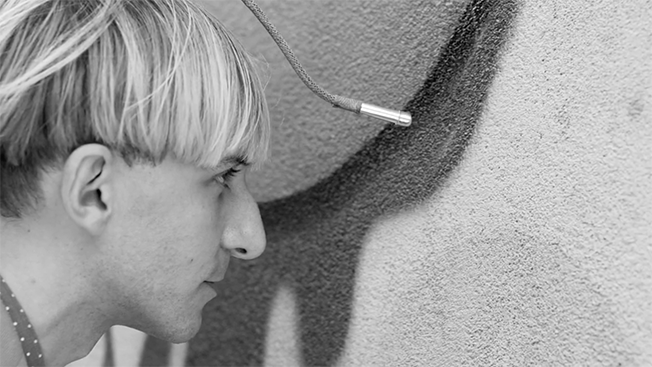 But Neil Harbisson's case is a little different: He convinces doctors to implant an antenna in the back of his head that allows him to hear colors. "This film exemplifies the kind of work that we applaud in which a brand is telling a genuinely compelling story in a way that adds value to people's lives," said Andrew Essex, CEO of festival owner Tribeca Enterprises. "I'm told it was a very difficult decision for the jury, that there was tons of great work, and that's an encouraging sign for the industry." The Tribeca X Award jury was comprised of Laurie Anderson, Scott Carlson, Judy McGrath, Liev Schreiber and Hank Willis Thomas. GE sponsored the award. The film is part of Samsung's partnership with Vimeo for its Connected Series, which looks at how modern technology affects the way people communicate.